If you have ever played slots, you know that there are different types of them available online. There are classic 3 reel, 1 pay line slots and 5 reel multiline games. They can be very simple without any features and may have wilds, scatters, multipliers and several bonus games. They can be played for a penny or you have to wager up to thousands of dollars per spin. It is very difficult, almost impossible to describe all types of this extremely popular game in a single article. And, I think, there is no need to do it because you can find tons of information concerning online slots machines on the Web. In this article I want to tell you about slots developed by the industry leader, Microgaming. Microgaming casino has all possible types of slots games in its collection and this collection is the biggest one on the Web. At the point there are over 400 online slots available at the Microgaming online casinos and 3 or 4 new games are added every month. The main difference of Microgaming slots from the games developed by most other software providers is their quality. If you choose these online slot machines for playing these games you will never be disappointed or upset by their quality, game play and features. If you are new to slots, you can start playing simple classic games. Most of them are very simple, but may bring you good money. Classic Cash Splash is the first ever progressive online slot. This game has paid over $4 million since its release in 1998. Another legendary progressive slot, Major Millions sometimes reaches $1,000,000. There are four more classic slots with progressive jackpot – Fruit Fiesta, LotsaLoot, Tunzamunni and WowPot. The Microgaming know-how is fruit machines or AWP slots in other words. They are a variety of classic 3 reel, 1 pay line games, but the main difference from other classic games is that they are packed with bonus features including Hold, Nudge and Shifta! bonus games. Most company’s slots are 5 reel, multiline video games. The latest games have All Pays format. These slots do not have traditional pay lines, they simply pay any winning combination from left to right, no matter where the symbols may appear on the reels. Almost all 5 reel slots are state-of-the-art games with wild, scatter and multiplier symbols. 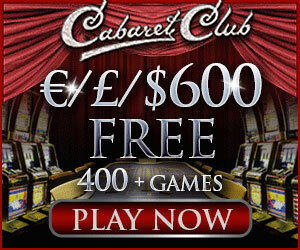 They feature multiple bonus games including free spins. Thanks to the bonus features, you could if you are lucky enough win sums similar to big progressive jackpots. The most popular games are Thunderstruck and Thunderstruck II, Tomb Raider, Hitman and Immortal Romance. The most famous and popular progressive games also have 5 reels. They are 5 reel varieties of Cash Splash, Major Millions, Fruit Fiesta, LotsaLoot and WowPot. The other games include King Cashalot, Treasure Nile and the growing family of Mega Moolah. Today there are 5 Mega Moolah slots attached to one jackpot – Mega Moolah 5 Reel Drive, Mega Moolah Summertime, Mega Moolah Isis, the Dark Knight and Mega Moolah itself. This fantastic progressive game paid out the biggest ever recorded online jackpot of €6.37million in 2009 and overall, it made over 15 players millionaires. Play slots online, enjoy them and win!